Some of us are date-oriented and some of us are not. By dates, I refer neither to the fruity nor to the romantic kind (though the same statement would probably apply to both) but rather the chronological sort: anniversaries, birthdays, milestones and the like. Some of us are date deniers, wondering whether it matters that such and such happened so many years ago on this date. This day is still little different from yesterday or tomorrow, after all; it’s just another day, significant only for what it achieves for itself, surely, and not its numerical coordination with some other day. Bob Dylan, however, has apparently been paying some attention to dates. 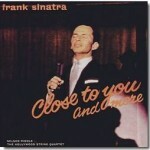 The first track (“Full Moon and Empty Arms”) to be heard from his forthcoming Sinatra-themed album was released to the world last May 13th, the day before the anniversary of Frank Sinatra’s death in 1998 (perhaps someone’s itchy promotional trigger finger caused it to come out a few hours early, at least state-side). 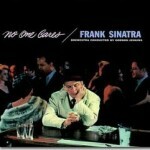 And the album itself is being released right here in the first part of 2015 A.D., which happens to be the centenary of Sinatra’s birth (his birth date being December 12th, 1915). 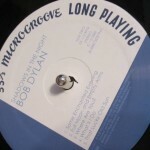 In a short piece marking the online release of Dylan’s version of “Stay With Me,” a writer named Bob Boilen with NPR opined that no one could ever have expected this kind of album from Bob. Well, for those listeners (small subset though we may be) who have been serious fans both of Bob Dylan and of Frank Sinatra and of the distinct but not unrelated arts of popular song that each represents, I’d suggest that this wasn’t so crazily unexpected, even if we couldn’t have predicted exactly how Dylan would execute it. Some may even have been waiting for this moment. 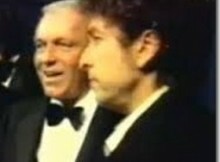 In 1987, Dylan showed up at a tribute to George Gershwin, and delivered a plaintive, slightly rough, but affecting rendition of the Gershwin song “Soon,” just with his acoustic guitar and harmonica. 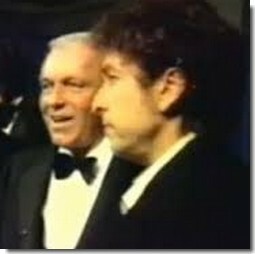 There was no need for him to do something like this; it seems to me that it was a very deliberate doff of the cap to someone who’d come before and paved a part of that road on which Dylan was traveling, one different to that part paved by Jimmie Rodgers, but ultimately crucial and priceless all the same. In the next few years Dylan recorded (for soundtracks) one-off versions of “Return To Me” and “You Belong To Me,” both songs sung by a variety of artists but likely best known as sung by that scamp Dino Crocetti—aka Dean Martin. In 2009, Bob Dylan recorded and released Christmas in the Heart, an album of holiday “chestnuts” and hymns, material that would be well known to the likes of a Bing or a Frank or a Dean, and he performed it with all the warm and classic stylings. As much of a shock as it was to most of the world, that move too seemed not so bizarre to those who had already noted Dylan’s affection for the music of the crooners (not to mention his continued interest in matters pertaining to the divine realm). So, viewed from the perspective of those sensitive to the signs, Shadows in the Night is not so shocking, but that does not in any way mitigate the unbearable delight its appearance inspires. After all, it was never a given. Most pertinently, Bob Dylan might not have lived long enough to reach his comfort level for doing it. He is 73, going on 74. He is being tremendously adventurous, as a singer, to tackle these challenging and complex songs, using his worn instrument for everything it’s worth. He has the kind of band he implicitly trusts to execute the instrumentation behind him. It would have been wonderful—and I think here I speak for anyone who loves Sinatra—if Frank had been as adventurous and as canny about what he was doing at that same age. He might have recorded some wonderful, intimate, small group things (along the lines of “It’s Sunday”), appropriate for his voice, that would have stood up much better than those big “Duets” albums with which he closed his career. But such is life: few of us make the wisest decisions about how to use our talents, distracted as we are by so many competing interests. Frank gave us his best when he was at his best, and that’s surely enough. In the end, then, the overwhelming feeling from this quarter is simply gratitude that Bob Dylan is still succeeding in doing exactly what he wants to do, in the way that he wants do to it, and in so doing happens also to be fulfilling the dreams and fantasies of some of those who’ve been fascinated down through all these decades. And many who haven’t listened to the likes of Sinatra, Ella Fitzgerald, and other great interpreters of the same great songbook will have their ears opened by these songs that Dylan has “uncovered,” and that is also a priceless gift.